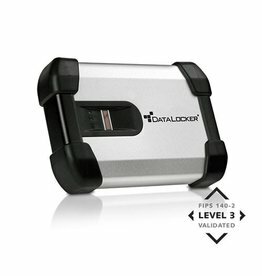 The DataLocker H100 External Hard Drive is suited for government agencies and regulated industries that require highcapacity secure portable storage. It features FIPS 140-2, level 3 hardware-based AES 256-bit encryption for up to 1TB of critical data protected by strong password authentication. Every DataLocker hard drive can accommodate up to ten secure user Accounts, and offer advanced management capabilities through the optional IronKey ACCESS Enterprise device management console. 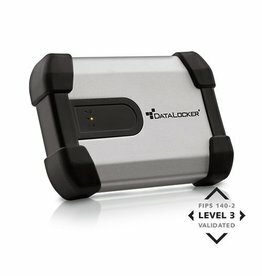 The DataLocker H200 Biometric External Hard Drive offers two-factor authentication with strong password and/or biometric authentication to protect up to 1TB of sensitive data. The USB 2.0 portable hard drive delivers FIPS 140-2, level 3 hardware-based AES 256-bit encryption through a dedicated cryptographic processor, supports up to 10 secure user accounts, and is housed in a distinguished rugged metal design.